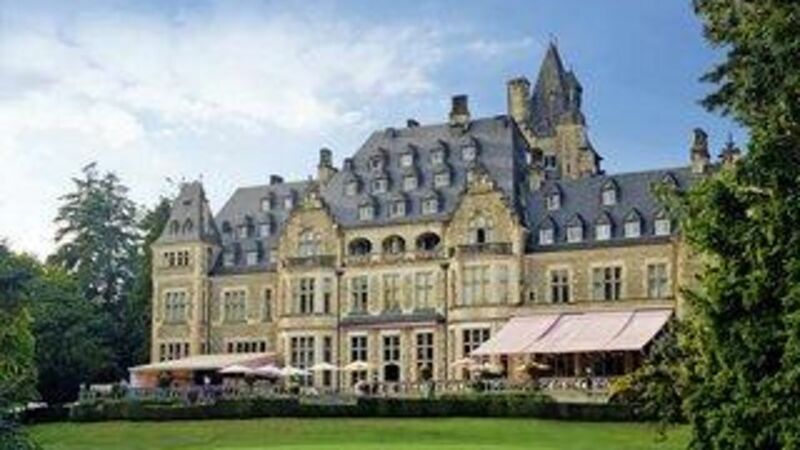 The Diplomatic Council Summer Celebration 2019 will take place on June 28 at the famous Castle Schlosshotel Kronberg near Frankfurt (Germany). The 5-star luxury hotel lies above the picturesque town of Kronberg in the middle of an impressive park next to an 18-hole golf course and is only 15 minutes away from Frankfurt. In earlier times it served as the residence of Empress Victoria. Built under commission from Empress Victoria Friedrich and completed in 1893, Schlosshotel Kronberg is today one of the most spectaclur German castles and offers all participants of the DC Summer Celebration living history to touch and feel. Exclusive furnishings and an impressive collection of antiques and paintings from the private estate of the mother of the last German Emperor convey the authentic ambience of a castle from imperial times. Today the hotel is owned by the Landgrave and Princess von Hessen and has since 1954 been a luxury hotel of the first order. It represents a little gem which is unrivaled. We anticipate a fabulous celebration with numerous festive moments, cultural highlights, a delicious summer barbecue with accompanying wines and for sure the outstanding ambience of a castle-style luxury hotel. All these “ingredients” provide the ideal setting for a magical celebration at which new contacts can be established while existing relationships may be deepened.The participation fee includes all food and beverages during the event. After the official end, guests can extend their stay enjoying time the castle’s legendary “Jimmy’s bar. Classic and creative cocktails, more than 20 different gins and whiskeys will inspire stimulating conversations. The barkeeper will stay as long as the last guest…. It has become tradition to meet the day after for breakfast given that numerous guests are staying at the event location overnight. The castle offers breakfast at the former breakfast room of Empress Victoria. In a pleasant and relaxed atmosphere, DC members and friends seize the opportunity to continue conversations, discuss potential collaborations or just deepen their relations. Guests who would stay overnight, may book a room at the Schlosshotel Kronberg (Phone: +49 6173 701 551). Tell the reception you are a Diplomatic Council guest and you will receive the single room for € 199 only and the double room for € 235 including breakfast. These prices are really special and only for guests attending the summer celebration. We look forward to welcoming you to our summer celebration!